rang1: JP Martinez /x/ Joachim Llorca/ Roux / N Zouioueche / M Romain / N Aragno / Espinosa / Idir /Alain Llorca./ JC Maestracci /x/ H Doucet / M Bacha. rang 2 : Jean-Paul Bize/ x/ x/ Dabadie / Bakouche / A Doucet /Mohamed Kebaïli/x/Allouche / Marion / Moatti / Hammadi /x/ P Perret / A Marsot. rang 3 : X/ C Moignet / A Naman / Giner /x/x/ Desbordes / Carchano / R Chatain / J Chemoul / G Buffet / Juan /x/ A Sourbes / Femenias / Mattei. 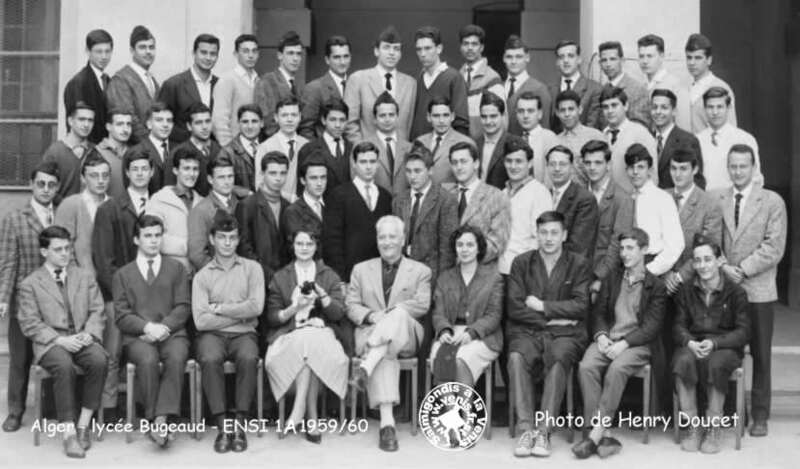 rang 4 assis : Paul Salessy /x/ x/ Monique Sultana / Prof de physique Mr Desquand / Noëlle Scott / Pouget / JC Rigail /Medioni.